After the receipt of the application in the jurisdictional officer’s menu, the same should be examined for deficiency, if any. Since the recommendation is to reduce the number of documents that are to be filed along with the application and most of the documents related to refund application will be available online, it is recommended that the preliminary scrutiny may be carried out within 30 common working days and deficiency, if any, should be communicated to the applicant directly from the respective tax portal. 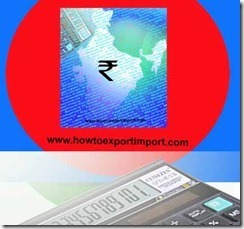 (In case refund relates to different jurisdictions or involves both central and state GST levy, then the said deficiency needs to be forwarded to GSTN also which will communicate the same to the corresponding tax authority relating to that refund). It is recommended that tax authorities should make efforts to ensure that piece meal queries are avoided. Applicant may file his reply through the respective tax authority portal / GSTN. Any further queries should be raised only with the approval of higher authorities so that unnecessary queries are avoided. Once the refund application is found to be complete in all respect, the same may be communicated to applicant via SMS and e mail and the date of communication shall be considered as the relevant date for the purpose of time limit prescribed for sanctioning of refund and initiation of interest clause. Once the refund application is found to be complete and the fact of completeness has been intimated to the applicant, the jurisdictional tax authority should examine the same in the light of the provisions of the GST Law relating to refund. 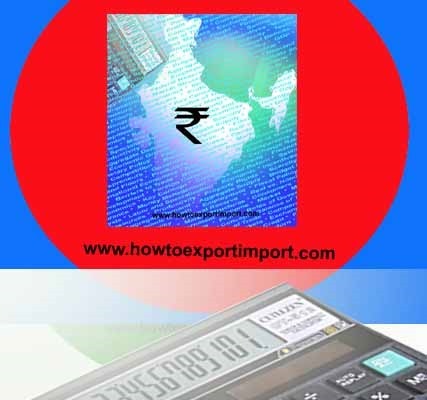 Important parameters include the timeliness of refund application, tax payment, date of export (if relating to export), reasons for refund etc. It is recommended that for the sake of uniformity, the state and central laws should have similar provisions. As GST is an indirect levy, there is always a rebuttable presumption that the tax has been passed on to the ultimate consumer by the applicant. So it is essential that every refund application should be examined in light of the principle of “unjust enrichment” and the appropriate provisions may be incorporated in the GST law. The burden of discharging the obligation under “unjust enrichment” should be on the applicant and documents manifesting the same should be submitted along with the application. As discussed above, a Chartered Accountant’s Certificate certifying the fact of non-passing of the GST burden by the taxpayer, being claimed as refund should be submitted. The GST Law Drafting Committee may prescribe a threshold amount below which self-certification (instead of CA Certificate) would be sufficient. If the refund is not found to be legal or correct for any reason, then the jurisdictional authority should issue Show Cause Notice (SCN) to the applicant and thereafter the refund will be kept in abeyance in the system till the SCN is adjudicated. In case, the refund application is found to be in order but does not satisfy the test of unjust enrichment, the refund amount, after sanction, would be credited to the Consumer Welfare Fund. The GST Law Drafting Committee may examine whether such amount should be credited to Consumer Welfare Fund or to the consolidated fund of State / Union.